President Barack Obama’s Justice Department created a “slush fund” of nearly $1 billion using legal settlements with banks and steered those funds to political allies on the left while excluding conservative groups, internal documents show. 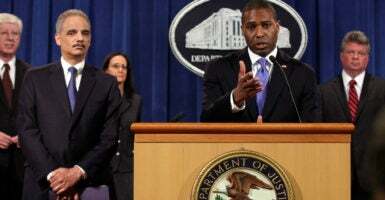 Tony West, an associate attorney general during the Obama administration who is now a top official at PepsiCo Inc., figures prominently in a chain of email messages involving his staff members, the records show. The financial institutions, which made legal settlements with the Obama administration regarding mortgage securities that imploded during the 2008 financial crisis, include Bank of America Corp., Citigroup Inc., Goldman Sachs Group Inc., and JPMorgan Chase. Public records of the settlement agreements with the Justice Department show that when cash donations to liberal groups are combined with other donations in the form of loans and a separate settlement with Volkswagen of America Inc., the slush fund may have topped $3 billion. The House Judiciary Committee obtained the internal Justice Department documents as part of an investigation conducted in conjunction with the House Financial Services Committee. The emails suggest the Obama administration’s targeting of conservative organizations was not limited to the actions of Lois Lerner, the official who was in charge of an IRS division that processed various groups’ applications for tax-exempt status. A 2013 inspector general’s report found that Lerner’s division delayed and obstructed the applications of tea party and other conservative groups. In similar fashion, the Justice Department documents show that West’s staff went to great lengths to prevent conservative organizations from receiving any of the settlement funds. The same email from West’s team singles out the National Association of IOLTA Programs as the sort that could be eligible for funding from settlement agreements. It says the organization is among “statewide intermediaries” that “provide funds to legal aid organizations, to be used for foreclosure prevention assistance and community redevelopment assistance.” IOLTA stands for Interest on Lawyers’ Trust Account, a way of raising money for charity. Called the Stop Settlement Slush Funds Act of 2017, and sponsored by Judiciary Chairman Bob Goodlatte, R-Va., the bill also “requires that settlement money goes either directly to victims or to the Treasury,” a press release from his office says. Congressional investigators found that the Obama Justice Department used mandatory donations by the banks to funnel almost a billion dollars to left-leaning advocacy groups. The internal documents include correspondence showing some of these same third-party organizations lobbied Justice to receive the funds. On March 4, 2014, political activists discussed a proposal in a meeting with Elizabeth G. Taylor, then a deputy associate attorney general. That same day, according to the documents, Taylor sent an email to West about the meeting. In the email, Taylor informs West that she met on his behalf with Virginians Organized for Interfaith Community Engagement, and that representatives suggested that a bank that entered into a settlement agreement should contribute to the National Community Equity Restoration Fund. Because a portion of the email is redacted, it’s not clear which bank was cited. Bank of America, however, is mentioned later in the same email. The bank was “shamed” into complying with demands of political activists after they disrupted a shareholder meeting, Taylor says in the email. Taylor may have become aware of Virginians Organized for Interfaith Community Engagement, or VOICE, in an email to her Nov. 8, 2013, from the Leadership Conference on Civil and Human Rights, a Washington-based lobbying group. The name of the individual who sent the email was redacted in the documents obtained by the House committee. The author of the email then asks Taylor whether Justice Department officials who were negotiating with JPMorgan Chase could consider having any settlement funds directed toward a Prince William County Restoration Fund. The email records obtained by the House Judiciary Committee appear to contradict Graber’s testimony. West left the Justice Department in September 2014. The Daily Signal unsuccessfully sought to reach West for comment at PepsiCo, and also has rquested comment from Taylor and from the named financial institutions. Paul Larkin, a senior legal research fellow at The Heritage Foundation who has written at length on settlement practices, told The Daily Signal in an email that Goodlatte’s legislation would help prevent future misuse of such settlement funds. The bill now goes to the Senate. Ken McIntyre contributed to this report. 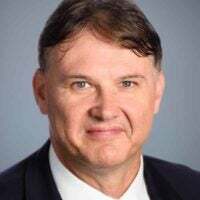 Kevin Mooney is an investigative reporter for The Daily Signal. Send an email to Kevin.